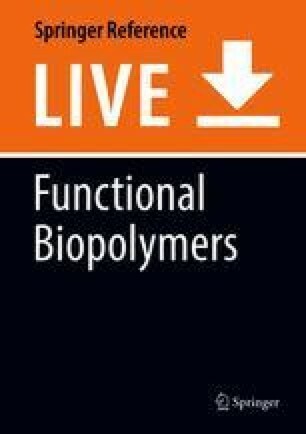 Biopolymers are functional materials that offer structural integrity to sense external stimuli such as temperature, pH, or ionic strength. Therefore, they are the ideal candidate for a variety of technological applications especially in biomedical sciences. Quince seed mucilage (QCM), composed of glucuronic acid and xylose (glucuronoxylan)-based biomaterial. Glucuronoxylan is an inexpensive and biocompatible polysaccharide hydrogel which is extruded from the seeds of different plants including quince (Cydonia oblonga). It is insoluble in water and swells significantly. QCM is also a smart stimuli-responsive biomaterial which can act as matrix for the sustained release of different drugs in response to environmental stimuli such as temperature, ionic strength, or pH. QCM normally swells in water or basic buffers and deswells under acidic conditions, organic solvents, or salt solutions. Therefore, QCM qualifies as potential smart biomaterial to be used in different biomedical as well as other industrial applications. This review will focus to summarize the current methods used for the isolation of QCM and various factors affecting the quality and yield of the product. It will further showcase their potential usage in advanced drug delivery systems (DDS), cosmetic industry, food industry (both as additives and packaging material), water purification, and in other biomedical applications. Moreover, the use of QCM as a smart/stimuli responsive biomaterial for food, medicinal and pharmaceutical applications is highlighted.